Come to witness the celebration of humor at the first edition of LAUGHATHON, with stand-up comedians Rajneesh Kapoor, and Pratyush Chaubey. 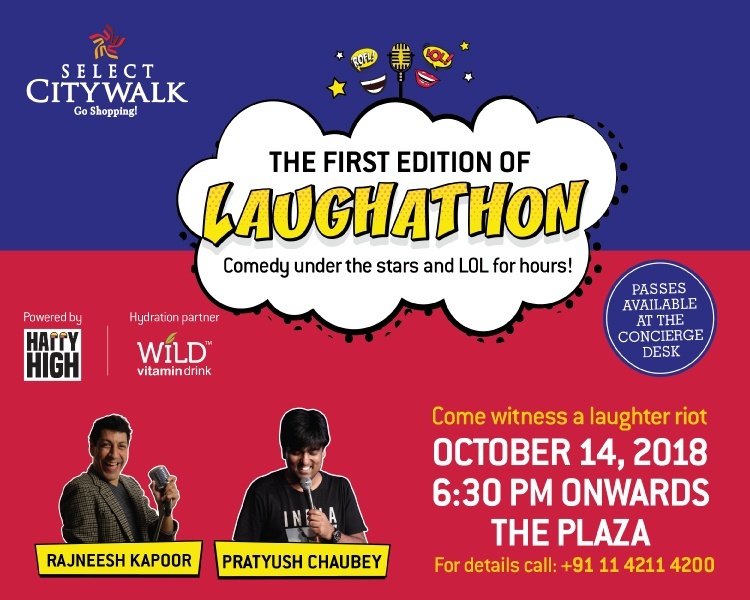 The live comedy event will make you go ROFL on October 14th at The Plaza, Select CITYWALK from 6.30 p.m. onwards. Register yourself here – https://goo.gl/T6zLqW and join us in this rib-tickling evening.